When you are starting a small business, there are sure to be some expenses required that can set you back from achieving your goals. Surviving the startup costs of a small business is a challenging task and it’s something that you have to be prepared for. Below, you will find 5 finance tips that you have to keep in mind as en entrepreneur or small business owner. Short-term loans are commonly referred to as payday loans and they are a quality source of funding for any small business. 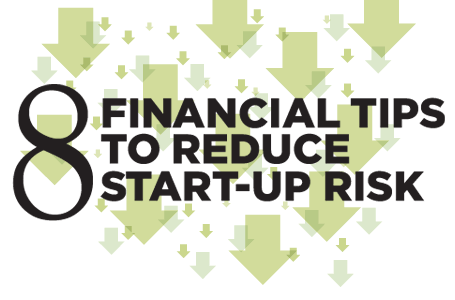 Startup costs can substantial and if you don’t have enough cash, a short-term loan can help. The problem with short-term loans is that they have to be repaid fairly quickly. When you are starting a business, there is an opportunity to earn that money back within the first month of opening. However, if you are not positive that your business will be profitable from the very beginning, then this may not be a risk you are willing to take. One of the most effective ways to afford the startup costs of a new business is to invest. Investments can take you from low dollar amounts to high dollar amounts quicker than anything else can. The best way to invest your money is to find something profitable that you know works. This could be something related to your business, such as selling your products or services online, advertising door to door, or something similar. The point is, if you can do something to generate revenue without paying the startup costs, you can use that profit to launch your business. Less is more when it comes to funding the startup costs of your business. It’s okay to start your business without the fanciest computers, nicest payment processing system, or most attractive website. Find ways that you can cut costs and save money by downscaling what you need to get going. One of the best methods I’ve found to save money on business startup costs is to hire local contractors off of Craigslist for miscellaneous things that you need done. If you want to install new flooring at your business, there is sure to be a local contractor that will charge much less money for the install than a small business would. This is a great way to reduce your startup costs. Bank loans are the traditional path to funding a startup. Bank loans have low interest rates and they can be repaid over a much lengthier period of time than a short-term loan requires. This makes them very affordable funding options for small businesses today. If you want to get a bank loan, be sure to compare multiple banks to one another and choose the financial institution that offers the lowest interest rate and most flexible repayment terms. Author Bio: Stevie Clapton works for FastCash.org, they provide outstanding articles on everything financial and also can provide you with personal short term loans.